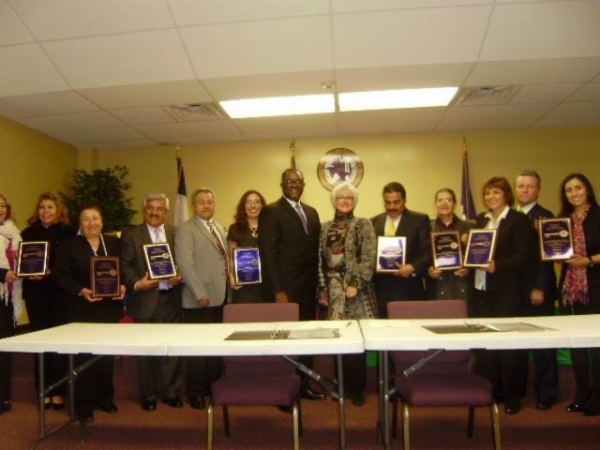 The Cities of Prairie View, Texas United States of America and Manta, Cundinamarca, Colombia, South America Sign Historic Sister City Agreement. 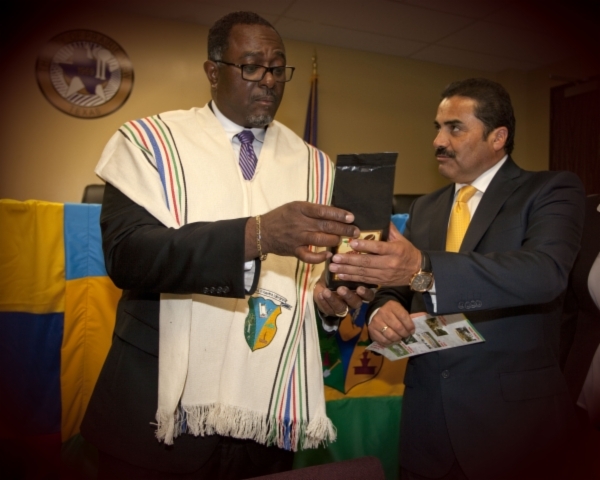 Dr. Félix Cárdenas Castañeda, Mayor of The City of Manta Cundinamarca, Colombia headed a delegation to The City of Prairie View, Texas to meet with Mayor Frank D. Jackson and The City Officials of Prairie View, Texas to sign an historic Sister City Agreement on December 9, 2013. “I extend this invitation on behalf of the citizens of our community who have come to know and love the City of Manta and vote unanimously in favor of an affiliation. As we look to the future of this alliance, we envision a growing awareness and appreciation of each other's culture and people. From small beginnings, we hope this partnership will continue for many generations, fostering educational, cultural, economic and professional exchanges. We look forward to the limitless possibilities of this relationship. Although this partnership must begin on an official basis between the governments of our two communities, we see the strength and vitality of this long-term association resting wholly in the hands of our citizen volunteers and participants. To this end, we have designated a group of men and women to enlist voluntary support in our community. We suggest that a similar body of individuals be assembled in your city, Manta, Cundinamarca, Colombia, S.A.
Mayor Félix Cárdenas Castañeda graciously accepted Mayor Frank D. Jackson’s invitation and lead a delegation from his city comprised of the following Citizens: Mrs. Blanca Cecilia Ruiz Mahecha, Mr. William Michael Guerrero, Ms. Sonia Patricia Calderón Cárdenas, Mr. Eliseo Cárdenas Robayo, Mrs. Luz Mery Buitrago Martínez, Mr. Salvador Malaver Rocha, Mrs. Rosa Elena Baracaldo Aldana, and Mrs. Teresa Baracaldo. 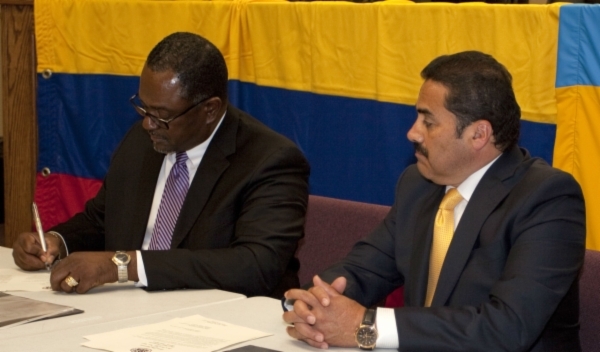 This Sister City Agreement shall be official established and shall become effective when this document has been duly executed by the Mayor of Prairie View, Texas, USA, and the Mayor of Manta, Cundinamarca, Colombia, South America. Signed on this nine of December 2013, in duplicate in the Spanish and English languages, both texts being equally authentic. Mrs. Amparo Navarrete, the Sister City Coordinator for The City of Prairie View is a native of Colombia and has earned two Masters Degrees from Prairie View A&M University, which are Community Development and Counseling. Mrs. Navarrete is the founder of the Sister Cities Organization in Prairie View and also serves as the interpreter for the events. The Delegation from Manta, Cundinamarca was given excellent briefings and tours of the City of Prairie View and Prairie View A&M University which included the College of Juvenile Justice & Psychology, The College of Engineering, the College of Agriculture and the School of Architecture & Construction Science where they were pleasantly surprised to meet Mrs. Juanita Jimenez, a native of Bogota, Colombia who has earned a Bachelors and two Masters Degrees from Prairie View A&M University, one in Architecture and the other in Construction Science. 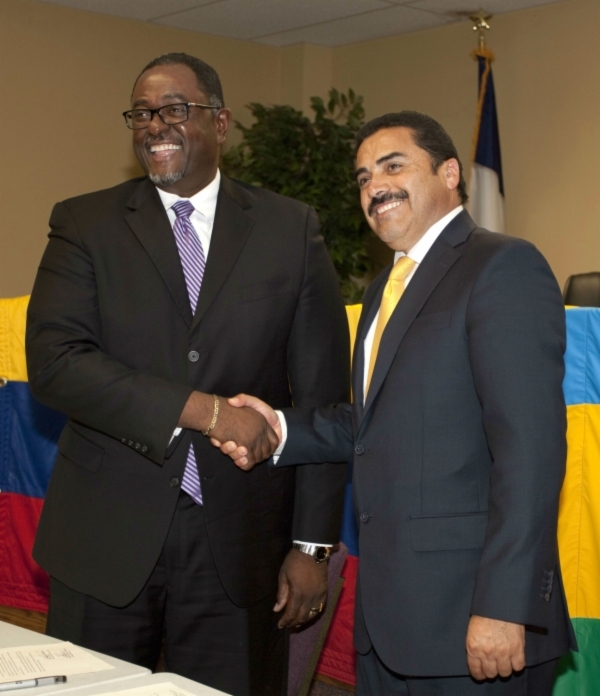 A visit to Colombia by Mayor Frank D. Jackson and a delegation from the City of Prairie View is being planned for the fall 2014.